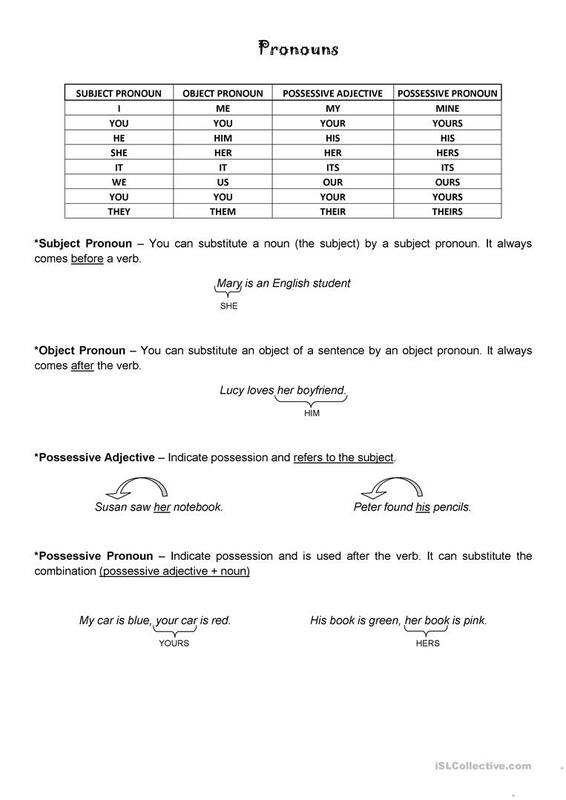 Explanation and exercises about subject pronoun, object pronoun, possessive adjective and possessive pronoun. This downloadable teaching material was created for business/professional students, high school students, elementary school students, kindergartners and nursery school students and adults at Elementary (A1) level. 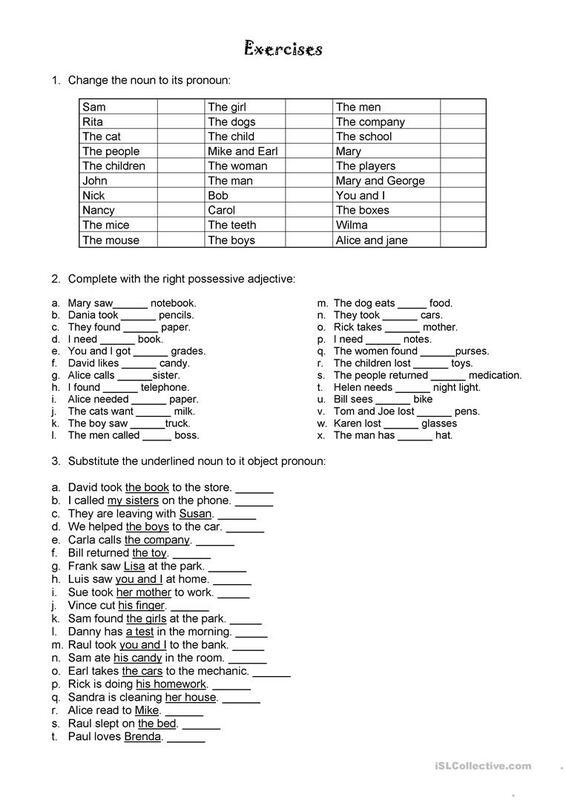 It is valuable for teaching Personal pronouns in English, and was designed for improving your learners' Writing skills. carolmas is from/lives in Brazil and has been a member of iSLCollective since 2013-02-19 19:08:14. carolmas last logged in on 2018-01-12 21:52:20, and has shared 5 resources on iSLCollective so far.